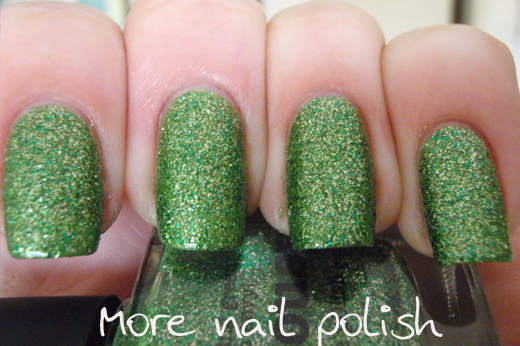 I have a couple of Picture Polish shades to show you today. 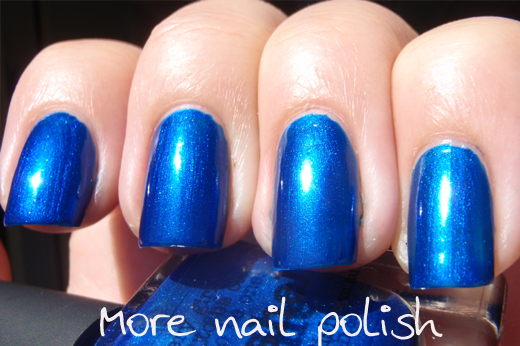 Bombshell is a rich royal blue shimmer. This was two coats and application was smooth and easy. 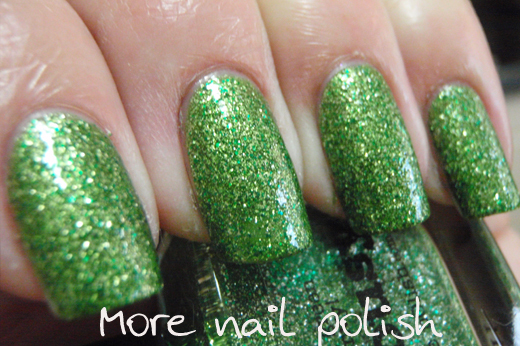 Jealousy - This is one great polish. 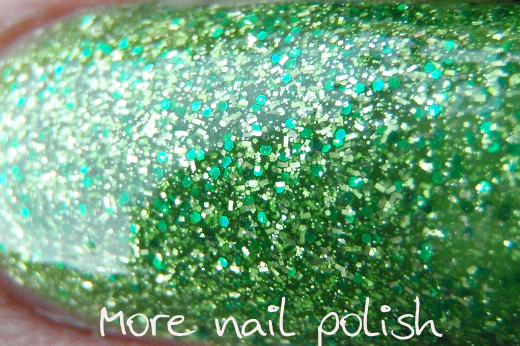 The glitter is densely packed, but not so thick that the polish is gluggy. The colour is amazing and the glitter pieces in it are mixed and varied. I really love this one. Two coats. But it needs a good couple of layers of to coat to make it a little less gritty looking, even though it's not rough. Look at all the glitter. And now even closer. There's hexes of all different sizes, squares and mini bars. 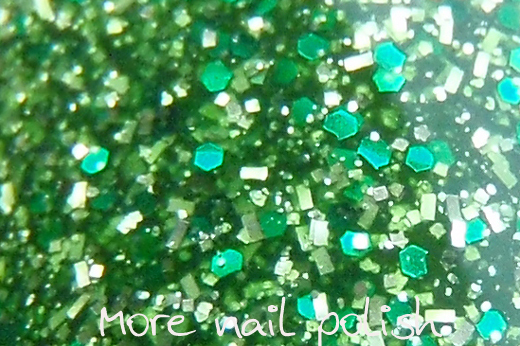 I think the Picture Polishes sometimes get a little overlooked on the Picture Polish website because of all the Ozotics they stock, but certainly there are many Picture Polishes are are worth a close look. 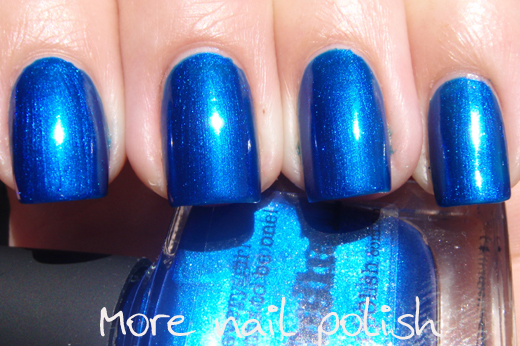 Blue shimmer polishes always blow me away. 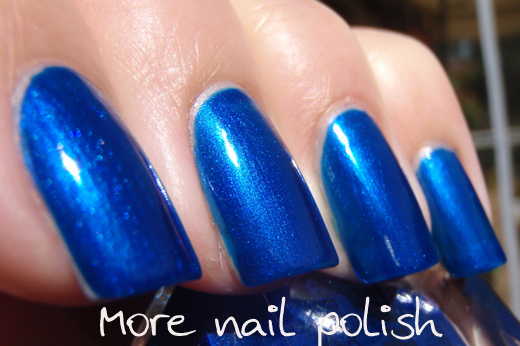 This one reminds me of a BYS beauty called High Impact Blue. Jealousy looks just like Mode's Vicious Venom. I am curious about Voodoo! I totally agree that their own polishes get overlooked. I've recently bought a whole bunch of them and I LOVE them! 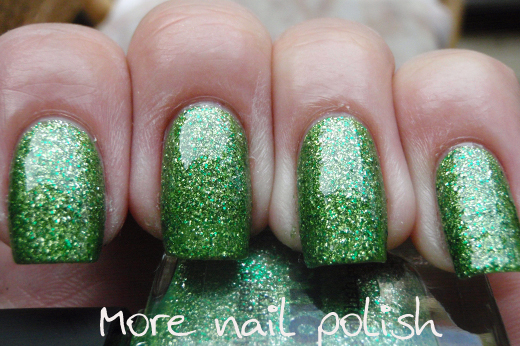 I'm guilty of overlooking Picture Polish's own colours, but I'll have to remedy that I think. Jealousy is awesome! I love that one!